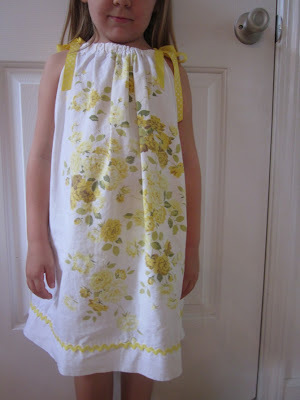 There are tutorials for these cute little pillowcase dresses everywhere online. 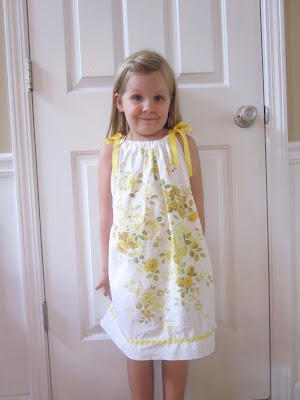 They are very simple to make, so they make a great beginner sewing project. I got the pillowcase for this dress at an awesome thrift store for $0.25. I already had the thread, ribbon, and rick-rack, so this was one cheap dress to make. I've seen these on sale at boutiques for $25 or more! No need spend that!